Legend says, that there is a great demon, who is the human kind’s public enemy. He is the galaxy federations’ nightmare as he wanted to conquer the whole universe. On the first day, he completely took out the human fleet, plunging them into disorder. On the second day, he declared that he will wipe out the whole federation. On the third day, he declared——that the hero who shot him in their previous battle must marry him, or else, he will destroy everything. The galaxy federation president and the council members had a long meeting after that. They decided to dispatch a soldier, Wu Xing Yun, and marries him off to the arrogant demon. Wu Xing Yun was once a hero who fought for the nebula, and henceforth, he was tasked—— for the sake human race and the universe’s peace, to eliminate mistresses, settle his matters with the mother-in-law, and fix the man’s crooked ways. I am very delighted to be the first to post a review. Despite a very very poor title, this story is pretty amazing. The main character is a « good soldier « that lives by one old army motto « thinking is already desobeing ». He’s a elite warriors that take pride in his country and abide by the law and the orders he’s given with blind faith in the goodness of the decisions that are made for him. That makes him a little bit stupid when it comes to assessing his own feeling, or even worse, making important decisions. He’s intelligent,... more>> but outside of combat proficiency he’s not so « autonomous, and he’s happy with it. for all of that, he will accept to wed the ultimate enemy of the Federation. Someone he will « never » understand, forgive, let even -love - as he has been the nemesis of mankind for no less than 2000 years. But it’s an order, énd for the good of all, he sill sacrifice.... little does he know that this will be the beginning of making him a full fledge « human « with a working heart and brain... and that will be immensely good to read. It is deep, very entertaining, and quite believable as far as humans interactions are involved (i can’t say about the science, it still sci fi ;)). There is food for the brain and for the heart. it is not « light « by any mean, which is very satisfactory in my humble opinion, so çf you care for a good plot, by all mean, please read this. 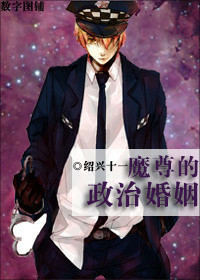 The... more>> MC is really good, I love his attitude and his righteousness. He is not a damsel in distress.